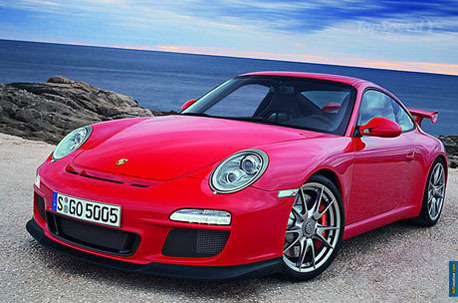 Porsche has confirmed and released information and images of the hard-core GT3 RS. 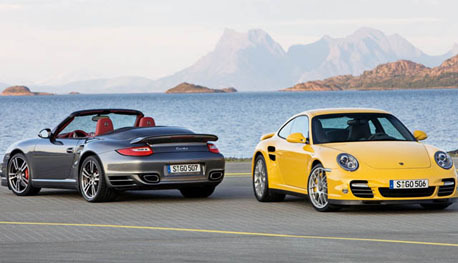 The new 911 Turbo will be the highlight at the Frankfurt show for the company. While not quite a new-generation 911 Turbo, it is a thorough update with an all new, 500-hp engine and available PDK transmission. The engine is based on the 3.8 litre flat six from similarly updated 911 S models, but with twin turbos and an improved version of Porsche’s impressive seven-speed PDK dual clutch transmission. Sports driving enthusiasts may appreciate the shift paddles, which are not as confusing as before (left for downshifts, right for up-shifts), although the more ambiguous steering wheel buttons are still available. 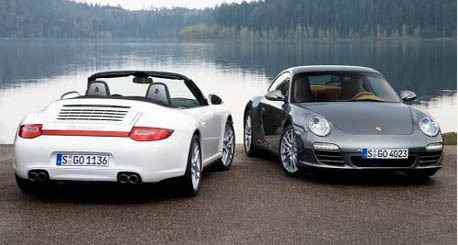 The 911 Turbo coupe promises a 3.4 -second, 0-100 km/h time and a 312 km per hour top speed. The Turbo Cabriolet is still available in an increasingly hardtop ﻿world. The limited-edition Porsche 911 GT3 RS may be less powerful than the Turbo, but it corners just as well on a tight, twisty circuit. It now has 450 hp, 15 more than the recently revised GT3, standard active engine mounts that are optional on the Turbo, and shorter gear ratios that sacrifice some highway noise (and top speed) for quicker-access to the 3.8-litre boxer’s highly tuned six cylinders. Some features only available to the RS include a wider and lower body, a big rear wing that makes the Turbo’s whale tail look subtle, Viper-baiting 325-mm-wide rear tires, plus bright orange wheels and body accents to go with an optional lithium-ion battery that shaves an additional 10 kg from the lightened body.